Singleton Environment Centre is a truly different venue for your event and by choosing us, you are supporting the work of Singleton Spaces in the local community. The building nestles in tranquil landscaped grounds with its own terrace and pond, adjacent to Ashford Community Woodland Local Nature Reserve. Natural ventilation, low energy lighting, rain water harvesting, a wood chip powered heating and solar power are just some of the centre’s features. Singleton Environment Centre offers an environmentally friendly, sustainable and refreshing new venue in Kent, with award-winning customer service. From your initial enquiry to the day of your event, our friendly and professional approach will ensure you are happy and your event is a success. Enjoy the tranquil, natural environment in the knowledge that your event will be as sustainable as possible, whilst minimising its environmental impact. Room hire rates are very competitive and include many of the services that other venues charge extra for. We have free secure car parking, cycle storage and free high speed wi-fi. Singleton Environment Centre is available for bookings all year round – days, evenings and at weekends. A range of audio-visual equipment is available for hire and can be set up to your requirements with our team on hand to assist you if required. We appreciate that there isn’t a “one size fits all” so we will work with you to make sure your event is a success. Please complete our online enquiry form and we’ll advise on the room(s) and arrangements that would best suit your events requirements. Our rooms can be booked on weekdays, evenings and weekends. Booking can be made by the half day, full day, evening or to meet your specific requirements. 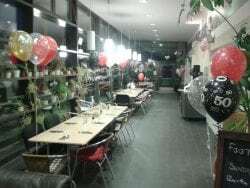 Unique venue and great facilities at reasonable prices, unbeatable customer service from our dedicated team, minimal environmental impact and you are are also supporting our local community. Download our four-page brochure with prices SEC Room Hire (PDF). Please download our four-page terms and conditions of hire SEC T&Cs (PDF). A truly different venue for your event!